I love my parents, let me preface with that. They are very clean, organized people. So to find a container of Bac-Os in the back of the cupboard with an expiration date from 15+ years ago is kind of astounding. Tiny bit scared right now, what else will I find?!?! Hahahahahahahahaha! I guess we know how often mom and dad use Bac-Os! Oh wow. That is a pretty fantastic find. 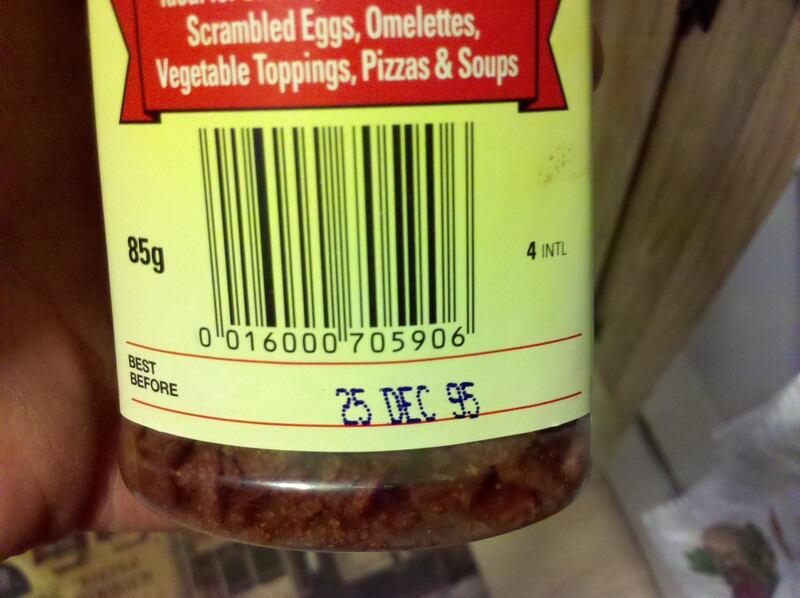 I would bet they are still fine….pretty sure bac-os are processed enough to survive a nuclear holocaust!